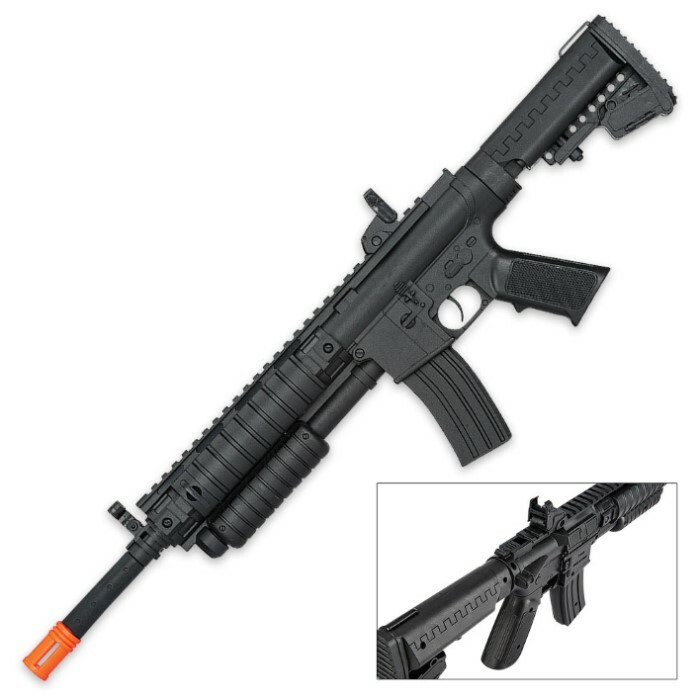 Spring Pump Action Tactical Airsoft Rifle with Sight and Laser - Black | BUDK.com - Knives & Swords At The Lowest Prices! 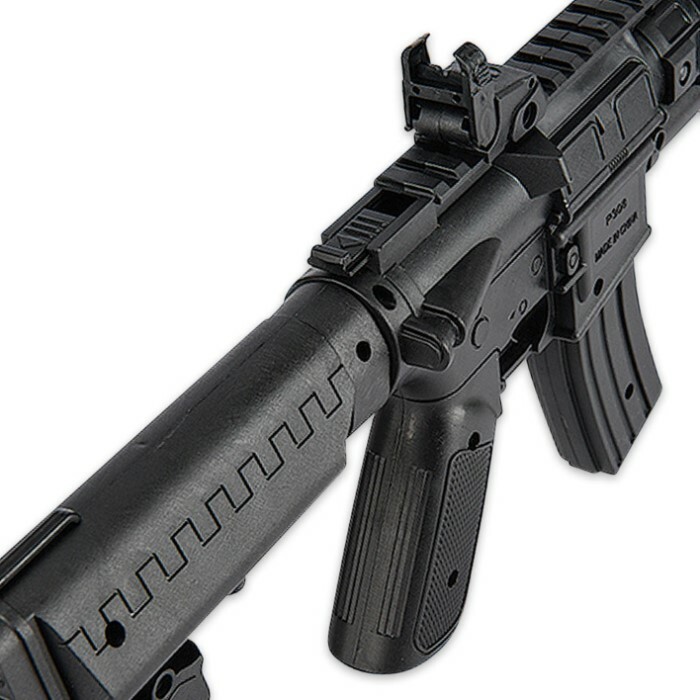 Crushing your airsoft opponents has never been easier or more affordable! Enjoy incredible power, a wide range of versatility, rock-solid construction, spot-on accuracy and maximum power for a fraction of the cost! 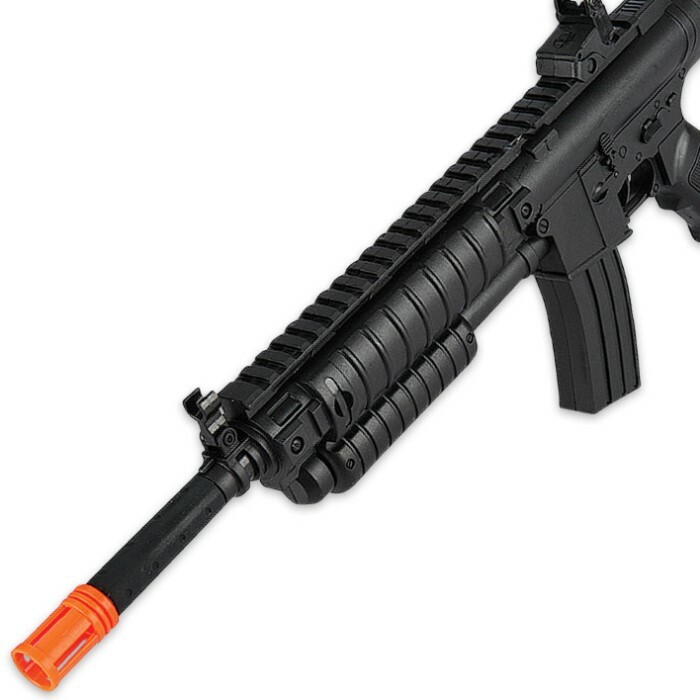 The Spring Pump Action Tactical Airsoft Rifle will fire BBs up to 245 fps with dead-on accuracy. It features traditional sights and an integrated laser, which gives it that sleek, tactical feel. The lightweight, compact pump action airsoft rifle is 18 3/4" in overall length.